The Election Commission of Pakistan (ECP) on Monday told the judicial commission (JC) probing alleged rigging in 2013 polls that it was facing difficulties in procuring records pertaining to the use of ballot papers by returning officers (ROs). While responding to Pakistan Tehreek-e-Insaf (PTI) plea seeking access to forms 14, 15, 16 and 17 of electoral records, the authority’s counsel Salman Akram Raja told the JC that while forms 14, 16 and 17 were available, ECP was trying to secure Form 15. Form 15 contains account of ballot papers prepared by the presiding officer and carries details about the number of ballot papers entrusted to him, and those taken out from the ballot boxes and counted, besides the number of tendered, challenged and spoilt ballots. Meanwhile, Form 14 is the statement of the count, Form 16 contains consolidated statements of the count while Form 17 is the result of the vote count. During Monday’s hearing, PTI’s counsel Abdul Hafiz Pirzada told the three-judge commission, headed by Chief Justice of Pakistan Nasirul Mulk and comprising Justice Ejaz Afzal Khan and Justice Amir Hani Muslim, that in pursuance of the commission’s last order, they had yet to gain access to forms 14, 15, 16, 17 and election scheme from the ECP. He added that this record was vital for them to proceed further. Pirzada, while referring to Section 44 of The Representation of People Act 1976, said the ROs were bound to forward the packets to the ECP, which contain ballot papers, each sealed with a seal of the presiding officer or with the RO’s seal if opened by the latter. While questioning the fairness of the ECP’s conduct, the PTI’s counsel said the commission was contradicting its earlier statement regarding the possession of record. He said that the number of ballot papers were increased three times and added that it was necessary to notify the use of ballot papers (Form 15) on notice board. He said that Form 15 was necessary for the cross-examination of witnesses. Justice Amir Hani Muslim said that under the rules, record of ballot papers should be in the possession of ECP. However, Raja said Form 15 was sent to the treasury through a notification. He requested the commission to give one more day to file a proper reply on this matter. The commission asked him to submit his reply by Tuesday. Moreover, recording his testimony before the JC, ECP Secretary Babar Yaqoob Monday said that he did not witness the ECP review report after 2013 General Election. “I have consulted with additional secretary, director legal and a lawyer for preparing ECP’s response before the commission,” he said, adding that he did not consult any ECP member. Yaqoob said that he was working as Balochistan chief secretary during 2013 elections and then Balochistan chief election commissioner (CEC) issued notification regarding polling scheme in the province. 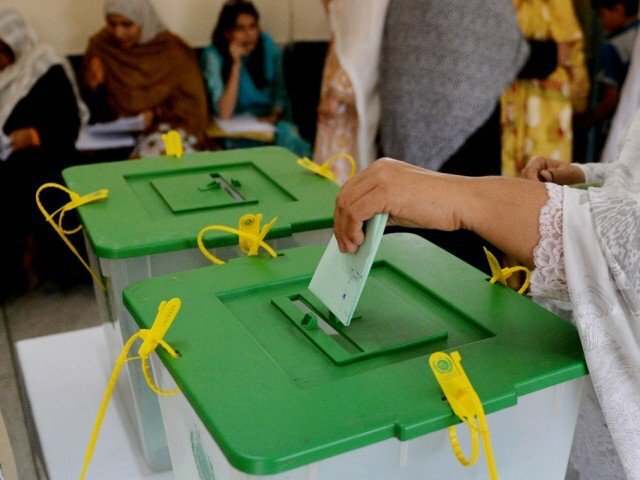 “I was not consulted for the printing of ballot papers,” the ECP secretary said, adding that per procedure, the Balochistan government was on board regarding ballot papers’ delivery made through helicopters under the supervision of Pakistan Army, considering “serious threats” against holding of elections in the province. To a question, Yaqoob said that he did not know that 100 per cent more ballot papers were printed. He said that there was 42 per cent turnout during 2013 election in the province. He said that a lot of complaints were received on the polling day. Later, hearing of the commission was adjourned till Tuesday.